These 1-hour webinars will take place throughout 2018 and be recorded and available to users who cannot attend the live session. These webinars will act both as refresher training and as a way for you to increase your proficiency and get the most value out of ENFOS. 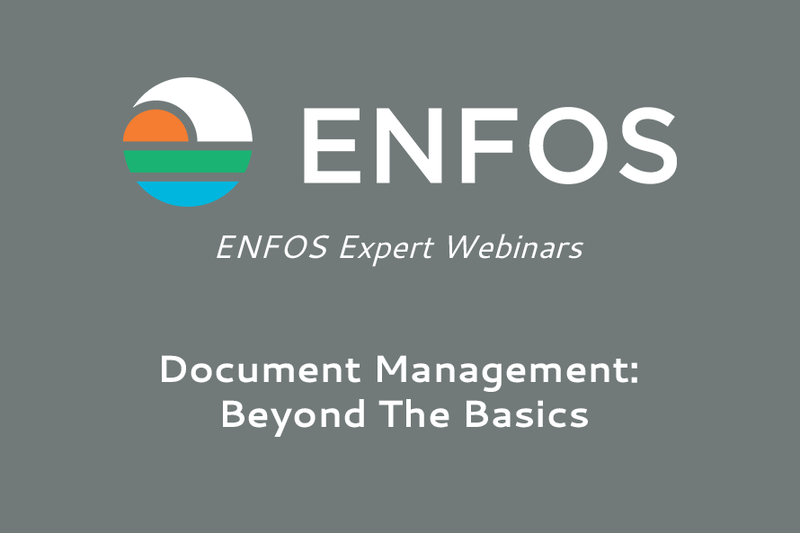 This month's webinar is titled "Document Management: Beyond The Basics". We'll be covering how to leverage the Documents feature of ENFOS beyond simple uploading and exporting - we'll also delve into Document Indexing, Document Reporting and Document Downloading in bulk. The webinar will take place on February 13th at 2:00pm EST and is hosted by Torrie Behrens.